If rent the one day and kept overnight there will be an additional fee. 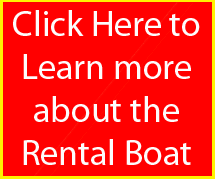 There is a fee to deliver if not on Secord Lake and have to rent at least 3 days if delivered. You are responsible for gas usage. Need deposit to hold rental and not refundable up to 3 days of rental.